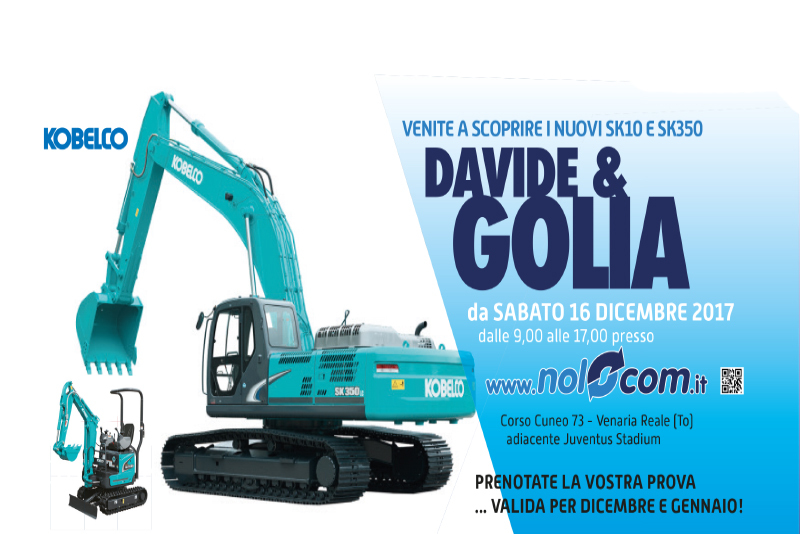 Open House Nolocom - Kobelco Construction Machinery Europe B.V.
Open House at Kobelco Dealer Nolocom in Torino. The event is featuring SK10 and SK350 as David & Goliath. Visitors can aslo see the following machines: SK08, SK17, SK28, SK45, SK55, SK75, SK140. For more information please contact Nolocom at info@nolocom.it or tel. +39 (0)1 259 210 04.